your plans! It is another of this author’s unique books for young children. The book uses a shape cutout on each page so that, each time the child turns a page, a new animal is formed. The illustrations are done in bright primary colors. It is a book that children will often take from the bookshelf to examine. Place the children a little bit farther back than you normally do for a story. The animal pictured is easier to guess when sitting back a little. Use a piece of white construction paper to slide between each page as you read. For example, put the white paper behind the first page. Ask the children, “What shape do you see?" (a circle) Then slide the paper out of the book to reveal an animal made from the circle shape. Now say, “Can you guess what animal this is?" 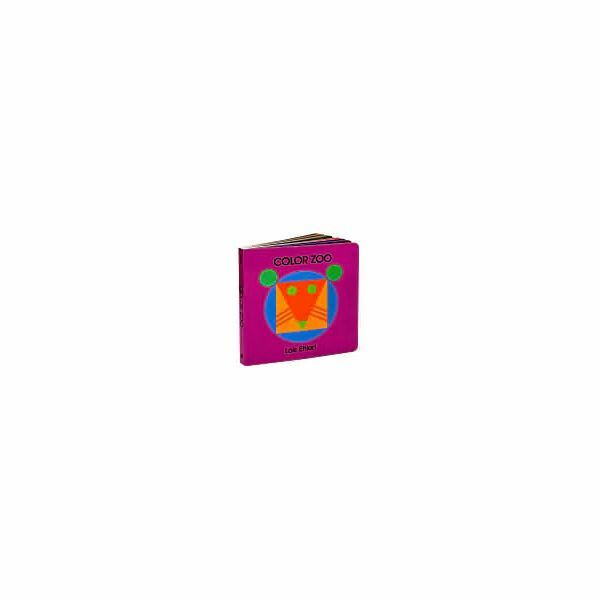 You will have a variety of guesses since the animals in the book are in bold colors and not portrayed in a natural form. Once the children have figured out the first couple of animals, it will be easier. This will make a brightly colored hallway or bulletin board display! First, with the help of your students, brainstorm a list of zoo animals and write them on the board. They may not be able to read the animal names but you will be able to glance at the list and then be able to come to the aid of a student who can’t think of an animal to make. Do not provide glue or background paper yet! Instruct the children to choose several shape cutouts and return to their tables. Children should each try to form an animal with the shapes. They can ask for more shapes, if needed, to complete the animal. When you and the child feel they are ready, provide the glue and background paper. Transfer the shape they have each created and glue each piece to the background paper. This is an activity that reinforces recognition of colors, directional words and shapes. Dump a container of shape blocks on the floor in the middle of a circle of students. Find a green square and put it in front of you. Find a red circle and put it in front of you. Put the green square behind you. Now get the green square and put it on top of the red circle. Find a yellow rectangle and put it beside the other shapes. Now put the shapes in a row with the yellow shape in the middle of the other two. Find any blue shape and put it between the red and yellow shape. Stack the shapes on top of each other with the green square on the bottom. You can continue on with your own pattern instructions or review of shapes and directional words if it seems that the class can do more. When using Lois Ehlert books, lesson plans and activities are easy to plan. Use Color Zoo to review directional words, shapes and colors, to do a beautiful art project and to talk about zoo animals.